It’s been a while since I last posted on the blog and that’s been for various reasons – including the setup of our new kitchen and the launch of our new bhona service which starts from 4th May. 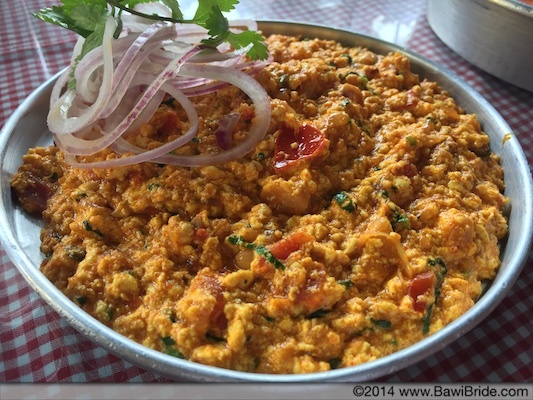 In all of this running around however, the taste of Anahita’s Bharuchi Paneer Akuri still lingers in my memories. Picture this, tucked away in between two shops selling kitschy Indian souvenirs there is a long staircase up to a restaurant. 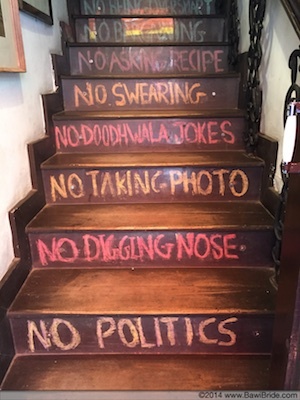 On the stairs are the funniest ‘rules’ you’d ever hear a restaurant say such as No Digging Nose, No Swearing and my favourite, No Doodhwala Jokes. 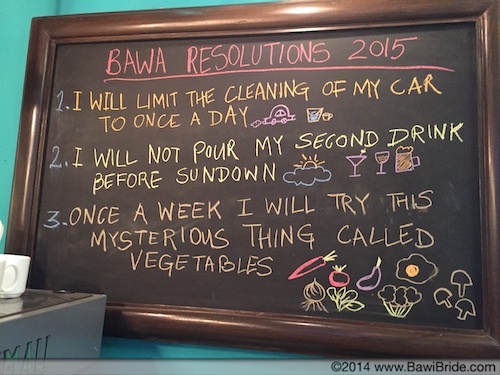 You step back an era as you glance at the walls lined with images of old Parsi aunties and their families and you feel at home by the time you’ve stepped into the restaurant and come across a board of ‘Bawa Resolutions 2015’. This, my friends is a glimpse into SodaBottleOpenerWala at Khan Market in Delhi. Conceptualised by the same crew who gave us Olive Bar and Kitchen and managed by young bawi extraordinaire, Anahita Dhondy, SodaBottleOpenerWala with its classic Parsi favourites has heralded a new era of Dhansak and Akuri in Delhi and now also in Bangalore. Anahita was only 23 when she started with SodaBottleOpenerWala and she’s one gal who’s done great learning on the job. 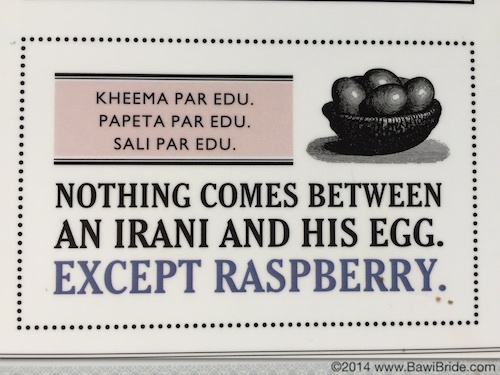 Anahita has been cooking since she was 10 and for me, it’s always fun to meet a fellow bawi flying the Parsi food flag high. As young as she is, Anahita has already won a few awards like the Top Chef Best Entrant of the year as well as a a recent Young Chef Award in Singapore where her entry was the the Parsi Patra Ni Machchi made with snapper and ‘aapru’ Tamoto Papeta per Eedu using quail eggs. After all this food chatter, it was love at first bite when I had her Bharuchi Paneer Akuri. She came up with this dish as she got a lot of strife for being one of the few odd restaurants in Delhi to not have paneer on the menu and she needed something uniquely bawa that was still completely vegetarian. I am not much of an egg lover (shocking but true) and so this was one dish that I wasn’t leaving without getting the recipe for. As luck would have it, Anahita was kind enough to share it with me and from all the recipes I collected on my Return to Roots trip, this one has to be my absolute favourite! 1. To begin, add oil, garlic and green chillies till they start popping. Add in the onion and brown nicely. 2. Now, add the masalas, and cook the onions. Then add the tomatoes and cook the mixture. 3. Add in part of the coriander and then the grated paneer. Paneer can be salty so check the seasoning before adding salt as per your taste.